BTOB members Seo Eun kwang, Lee Min hyuk and Lee Chang sub will make a surprise release of their digital single "Sorry." Cube Entertainment released an art work teaser image of their digital single "Sorry" on their official SNS at 0:00 p.m. on 29. The released teaser image contains the song "Sorry" and the release date based on a purple background. 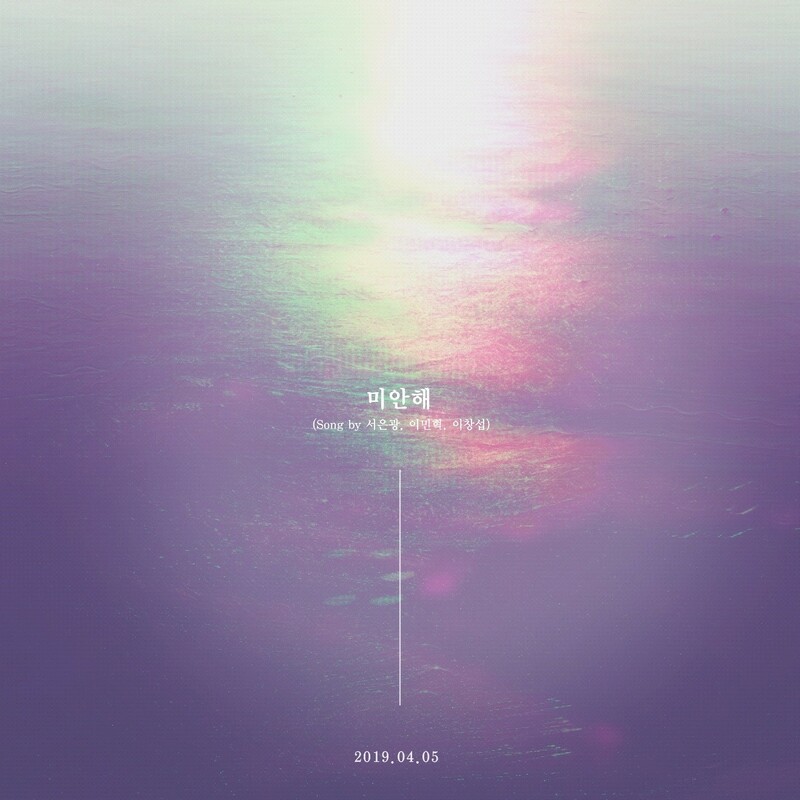 The digital single "Sorry" is the last unpublished song prepared by Seo Eun kwang, Lee Min hyuk and Lee Chang sub before joining the military, and is a ballad song by Medium tempo, which proved its production ability by writing, composing and producing the full song of its first solo full-length album "HUTAZONE" released in January. BTOB's digital single "Sorry" by Seo Eun kwang, Lee Min hyuk and Lee Chang sub will be released through various online music sites.